It used to be that when people thought about wine tasting, they thought about swirling expensive glasses while snacking on brie in Napa Valley. It was a boujee, sophisticated weekend activity reserved for wealthy couples and the occasional bachelorette party. Now, literally every state in America has a wine region, even Alaska. So while the image of high-class leisure may be a bit diluted, the experience is far more accessible. Granted, some states do it better than others. You’ll still find a lot more options in California or Washington than you will in, say, Mississippi. But no matter where you live, you’re never more than a few hours from a wine producing region. Even if you can’t tell a Cab Franc from a cab fare, you can still pretend to be an expert at one of these destinations — the best regions for wine tasting in all 50 states. The most noted Alabama wines aren’t made with traditional European grape varietals. They aren’t even made with grapes. Fruit wine is the name of the game in Alabama, and to try the best of them, head to Shelby County about 45 minutes outside Birmingham. There, you’ll find the state’s largest concentration of wineries in the hills next to the Talladega National Forest. The Alabama Wine Trail meanders through five of those wineries, where you’ll sample Muscadine wine at Hidden Meadow (which also makes a stellar blackberry wine), Morgan Creek, and Bryant Vineyards. 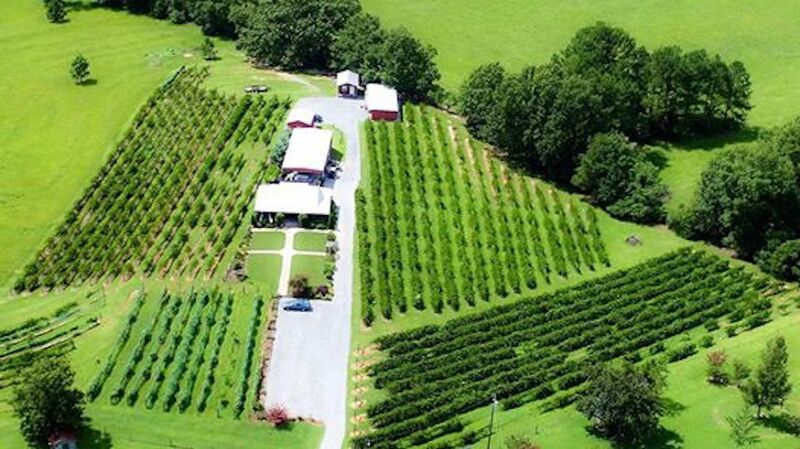 Then you can try more traditional wines at Corbin Farms and Alabama’s winery of the year, Ozan Vineyard. There are plenty of reasons to visit Alaska. Abundant nature. Remote national parks. Whales. Wine tasting is not usually on that list. Wine producers in the state mostly make fruit and ice wines, and there aren’t many to choose from. But if cold-water fishing puts you in the mood to wine taste, head out to the Kenai Peninsula where you’ll find Bear Creek, a winery and lodge that makes a blueberry Zinfandel along with black currant wine and a Port-style wine. There’s also Alaska Berries, a northern berry farm that makes fruit wines in addition to jams and syrups. While Arizona’s lower desert elevations aren’t ideal for grapevines, the higher elevations of Northern Arizona and the Verde Valley provide the cool air that grapes need to thrive. The Verde Valley has a wine trail near Jerome that includes the best wineries in the state, one of which is Caduceus Cellars owned by Tool’s Maynard James Keenan. There’s also an Old West wine tour through old town Cottonwood, and the wineries in the hills outside of Cornville, like Javelina Leap, DA Ranch, and Page Springs Cellars. On the southern slopes of the Ozark Mountain sits Wiederkehr Wine Cellars, an Arkansas winery that’s been around for 135 years. It effectively is Arkansas winemaking, with billboards up and down the interstates beckoning people to stop in. If you make a trip here, you’ll get plenty of personal attention and probably a few extra tastings from the owners. It’s kind of like the Wall Drug of wine, and it’s the best place to take a load off during an Arkansas road trip. Picking the best wine region in California is kind of like trying to find the best slice of pizza in New York. You’re never going to get it right and will probably just end up making a lot of people angry. But it’s hard to argue with the laid-back vibe of Sonoma, which, unlike its price-gouging neighbor Napa, has dozens of wineries where you can go tasting for $10. 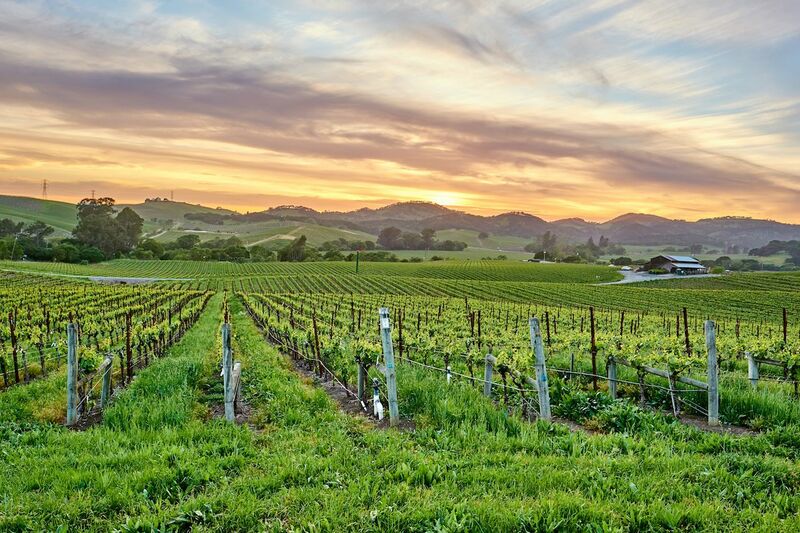 The county is home to a staggering 435 wineries, 17 AVAs, and 60,000 acres of vineyards, so no matter where you go you’re bound to find somewhere you like. Pinot Noir, Chardonnay, and Cabernet Sauvignon are the big grapes here. Spots like Keller Estate with its expansive views of the Petaluma Gap, and the massive Martinelli Winery & Vineyards lead the charge. Even if you don’t like wine, Sonoma is ripe with breweries, including Lagunitas and Russian River Brewing, home of Pliny the Elder. Combine that with the chance to watch the sunset over the Pacific Ocean every night, and there’s no place better in America’s winiest state to go wine tasting. The Grand River Valley, located near the Utah border in western Colorado, is the state’s oldest American Viticultural Area (AVA). The wineries here are Rocky Mountain laid-back, come-as-you-are-and-enjoy-a-drink kinda places. Enjoy the vibe, and once you’re done sampling innovative wines at Red Fox Cellars, first-rate Cab Franc at Colterris, and dessert wine at Mesa Park, you can explore the scenic hikes up Rapid Creek and the sunset over Rimrock Drive. Connecticut is roughly the size of Qatar. Which, with enough money, is big enough to get you an entire World Cup but still too small to separate yourself into different wine regions. Connecticut has more than 40 vineyards and wineries, and the official CT Wine Trail covers the entire state, so it’s hard to drill down one specific region as “best.” But the tightest concentration is in the southeastern corner between I-95 and I-395. Here, you’ll find five wineries within about a half hour of each other. Sharpe Hill, Connecticut’s largest and most award-winning winery (more than 450 medals total) is halfway up the state from there on I-395. A relaxing drive through the pastoral beauty of central Delaware will bring you to the green fields of Harvest Ridge Winery. The must-taste here is the mixed grape and fruit wine Blue Hen Blue, followed by either the red or white #47 (and ask about the number). If, for whatever reason, you’ve got someone along who isn’t into wine, Harvest Ridge also makes ciders from apples, grapes, and other fruit at the First State’s first cidery Rebel Seed. Much like you should abandon any perception you have of “normal” when traveling to Florida, so too should you abandon any notions of what wine “should” be if you choose to go wine tasting here. The best place to do so is in the agricultural area southwest of Miami called The Redlands where the Schnebly Redland’s Winery makes wine out of everything from avocado to mango to blackberry with varying degrees of deliciousness. The good news is that if the unusual flavor of avocado wine isn’t for you, Schnebly sits just across a tropical courtyard from the Miami Brewing Company. It’s best known for its Big Rod Coconut Ale, which tastes a little like carbonated sunscreen. The Republic of Georgia, located on the border of Eastern Europe and Western Asia, has some serious wine cred. The State of Georgia? It doesn’t have thousands of years of wine history like Georgia the country, but it’s still not bad. In the mountains of northeast Georgia, you’ll find the Peach State grows some pretty good grapes in some of the most spectacular scenery in the South. Roll through the tiny town of Cleveland and you’ll find multiple wineries on the intersecting highways, like the cozy Cottage Vineyard and CeNita Vineyards, which is open every day. And make sure to pop into the German alpine theme town of Helen, where you can taste at the Habersham Winery downtown. 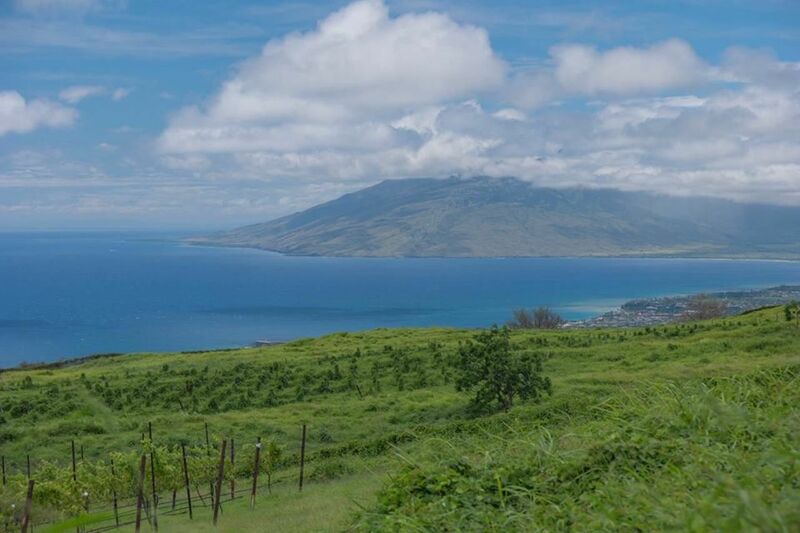 There are only two wineries in the Aloha state, one on Maui and one on the big island. Which is understandable. Pineapple weather isn’t great grape weather (it’s perfectly fine pineapple wine weather, though). But on a volcanic mountainside at the sprawling MauiWine estate, traditional grape varieties have a chance. The winery makes estate-grown Syrah, Grenache, Malbec, Viognier, and Chenin Blanc, as well as a sparkling Blanc de Blanc. And the views simply can’t be beat. Idaho is home to more than 50 wineries and three AVAs. The oldest, and most scenic, of the AVAs is the Snake River Valley, which is a sprawling area that encompasses seven Idaho counties and two Oregon counties. Forty-six of Idaho’s vineyards and 15 wineries are along or nearby Snake River. The water keeps the temperature at a more temperate level, which is good for the grapes, and also makes for great views, which is good for the drinkers. The main varietals are Cabernet Sauvignon, Cabernet Franc, Chardonnay, and traditional German varieties like Gewurztraminer and Riesling. The Shawnee National Forest is between the Mississippi and Ohio Rivers at the southern tip of Illinois, and it surrounds the best wine-tasting experience in the state. 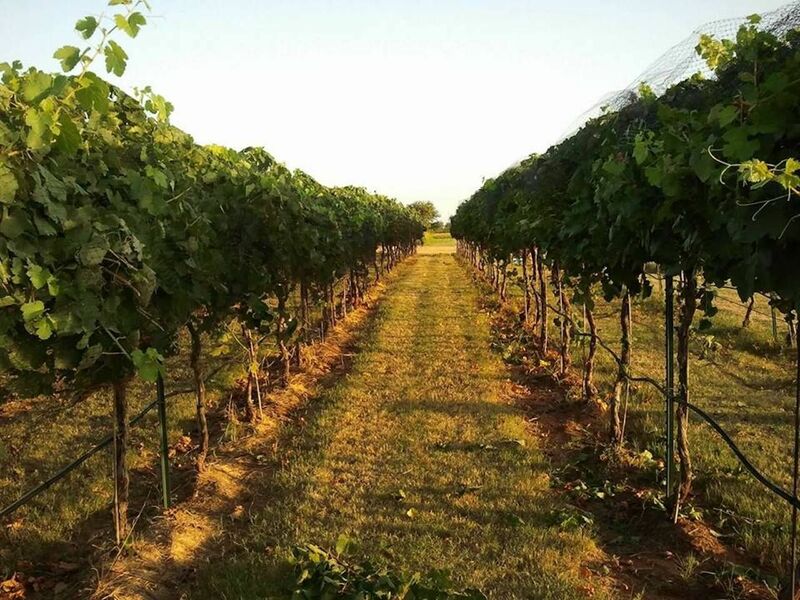 Eleven wineries are tucked in the lush landscape of the Shawnee Hills AVA, and the 40-mile wine trail offers a scenic way to experience the wines from the region. It’s only a few hours’ drive from St. Louis, and the area offers all the charming inns, restaurants, and B&Bs one would expect out of a wine tasting trip. About 15 miles from the heart of Indianapolis, you’ll find the Cardinal Flight Wine Trail and the start of Hoosier wine country. Half a dozen wineries dot the small towns north of Indy, where you’ll find wineries using estate-grown grapes and grapes grown in the local area. Don’t like what they’re creating? Ok there, Mondavi, then make your own blend at Harmony Winery. Also, if you’ve found yourself in Indiana on a Sunday and sadly realize you can’t buy booze, the wineries are the lone exception where you can buy bottles all week long. The state best known for corn is getting serious about wine with over 100 wineries. The best way to see them is along the Heart of Iowa Wine Trail where eight wineries and a meadery circle the capital city of Des Moines. Start at Jasper Winery in the city, then call around to see who’s open that day, perhaps venturing north to Snus Hill and the Buzzed Bee Meadery or south to Summerset and Two Saints. Whichever you choose, you’ll be pleasantly surprised by the wines Iowa has to offer. And no, none of them are made of corn. Kansas is just full of surprises. For instance, did you know that before Prohibition, it was one of the biggest wine-producing states in the country, putting out 226,000 gallons of the stuff in 1880? Of course, the next year the state was the first to pass Prohibition, and it took over 100 years for it to claw even part of the way back. But now you can head to Miami County (There’s a Miami in Kansas? Another surprise) where a friendly trolley takes you to three of the area’s top wineries. The trolley stops vary by day, but try to make it to NightHawk Winery and Somerset Ridge. Kentucky is known for a totally different kind of alcohol, but many may be surprised to learn the state has its very own AVA and Kentucky Wine Trail. It’s got history, too. The Bluegrass State was the location of the first commercial wine vineyard in 1798. To help boost the state’s wine profile, the Kentucky Department of Agriculture developed a smartphone app called Drink KY (stop giggling) that’ll help you find small farm wineries throughout the state. Some of the more notable wineries to hit include StoneBrook Winery in Camp Springs and Wildside Winery in Versailles, set dead in the heart of horse country. When it comes to wine consumption, Louisiana’s got it down. Wine production? Yeeeeeeeeah, about that. The state that brought us the Hurricane AND the Hand Grenade boasts only a handful of wineries, and only two are anywhere near each other. Those would be Case de Sue in Clinton and Pontchartrain Vineyards in Bush. Neither are in Hammond, but both are a short drive away. So by default, the city about halfway in between is the best wine-tasting region in the state. Maybe stick to Hand Grenades. Along the rolling hills of Maine’s midcoast, you’ll find Cellar Door Winery in Lincolnville. It’s the undisputed king of Maine wines, with both a tasting room in Portland and a picturesque estate. Once you’ve finished your complimentary tasting in the 200-year-old barn, head to nearby Savage Oaks, Sweetgrass, and Breakwater Vineyards. If you have multiple days, drive a short bit up US-1 to complete the midcoast Maine winery tour. The Chesapeake Bay has perhaps the most underrated scenic wine drives in the country. Start at Turkey Point Vineyard in the northeast corner of Maryland and then head to US-50. You’ll drive along the charmingly Southern Maryland Eastern Shore where you can enjoy wine on the water in St. Michaels and its namesake winery, then meander all the way down to Bordeleau Vineyards in Eden. The Chesapeake Wine Trail encompasses 15 wineries in all, stretching all the way to Ocean City. You’d think a place called Martha’s Vineyard would be the obvious grape-growing queen of the state, right? Well, not really. The sole winery there closed in 2008, and now the only wine you’re getting there will run you $17 a glass at L’Etoile. For wine tasting, the only place you’ll really be able to visit multiple wineries is along Massachusetts’ section of the Southeastern New England AVA, with Truro Vineyards and two other spots around Westport and New Bedford, then another three across the border in Rhode Island. 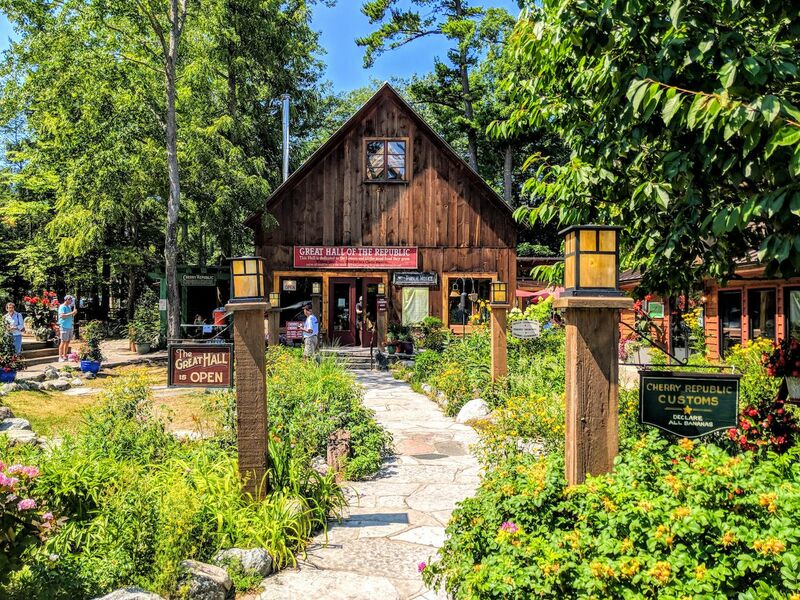 No trip to Traverse City — one of the coolest towns in America — is complete without a day of wine tasting on the Leelanau Peninsula. Though conventional wisdom might say the bright summer months are the time to go, you’ll see the best fall colors of any region in the country if you plan an early fall wine-tasting trip. What began as a small, four-winery tour in the 1980s has exploded to feature 25 wineries along three loops. Whichever loop you choose, try and make a point to visit Cherry Republic, which sits right on the water and offers all varieties of cherry-based souvenirs alongside its classic wines. If you’re looking for a phenomenal Midwestern road trip that doesn’t involve baseball stadiums, roll along the bluffs of the Great River Road. It runs along the mighty Mississippi from Minnesota to Illinois and features 11 wineries among four states. Start just southeast of St. Paul at Cannon River Winery, then meander to the town of Red Wing. Here you’ll find two more Midwestern estate wineries at Falconer Vineyards and Flower Valley, which sits just across the river from the Maiden Rock Winery in Wisconsin. The sweltering, sweaty summer and low-lying flatlands of Mississippi make the state about as good at growing grapes as they are at… so many low-hanging fruits here. The wine that is made here is mostly from Muscadine grapes, which yield sweet wines to go with the sweet tea that flows in abundance. The best place to get it is at the Old South Winery in Natchez, where after touring the grand Victorian mansions of the city, you can sample all nine of the Galbreth family’s Muscadine creations. Do yourself a favor and get a full glass of the Miss Scarlet Rose. It’s absolutely perfect on a hot Mississippi afternoon. Fun fact: The very first American Viticultural Area on record was right here in Augusta, Missouri. German and French immigrants to Missouri and Kansas were instrumental in making the Missouri Valley the Napa Valley of the 19th century as vintners of that era developed a phylloxera-resistant rootstock that led to a wine boom. Missouri’s wine influence has since cooled off, but the region still yields some pretty great grapes. Use Augusta as a home base to visit Augusta Winery, Mt. Pleasant Estates, and the nearby Chandler Hill Vineyards. Be sure to try the localized Norton grape. It should be no surprise that in addition to being Montana’s capital for beer, music, and pretty much anything else cool, Bozeman is also the best place to go for wine. That’s not to say it’s teeming with boutique wineries, though. In sparsely populated Montana, having two wineries within your city limits and another on the outskirts makes you a venerable vinicultural hotbed. But unless you’re trying to spend 10 hours traversing the state, sample the wares at Corx and consider it a wine trail. Or maybe head out to Valo Cellars and see what Montanans can do with Washington grapes. Nebraska may not be for everyone, but for wine lovers, it is surprisingly delightful. The state has a wine trail cutting right through the middle, where wineries dot the farmland from Omaha west to North Platte. The soil in Nebraska is a little different than you’ll find in other regions, and the grapes that grow best here are Edelweiss, LaCrosse, and Brianna for whites and Frontenac, Chambourcin, DeChaunac, and Marechal Foch for reds. Stop in a friendly looking winery anywhere off of I-80 and find creative blends using them all. The real problem with a trip to Vegas is finding anywhere to drink, right? Well, maybe somewhere to drink that has windows and doesn’t require you to play endless hands of Pai-gow. Instead, rent a car and head about an hour into the desert to Pahrump, where the Pahrump Valley Winery grows Zinfandel and Syrah and also makes wine from grapes sourced in the region. Once you’ve had lunch at the fine-dining Symphony’s restaurant on the property, head to the Sanders Family Winery where free tastings of Zinfandel and Petite Syrah — plus daily tours — await. New Hampshire has more than 30 wineries. The best collection is south of Concord by Manchester in the Merrimack Valley where five wineries and two meaderies take you all the way to the Massachusetts border. The best way to try them is by taking New Hampshire’s Wine and Cheese trail, which not only takes you through the state’s best wine producers but also through the Brookford Farm, where you can pick up some fresh cheese to pair with whatever you’re drinking. Even the most densely populated state in the nation has room for wineries. The best of the Garden State’s wine is in Cape May County, where once you tire of looking at colorful old houses you can amuse yourself by stopping in at Hawk Haven, Jessie Creek, Willow Creek, or Cape May Winery and Vineyard. It’s the perfect activity for the odd shore weekend when the weather isn’t cooperating, and while it might not be the most prestigious wine region in the country, for New Jersey, it gets the job done. Thanks to Breaking Bad, the Albuquerque intoxicant most people think of is crystal blue and made in the back of an RV. But long before Walter White was doing his thing, Spanish colonists were growing grapes in the hills of New Mexico, and wine has been thriving here for over 400 years. The rich soil lends itself to a wide variety of grapes, and in and around the city you’ll find a dozen wineries pouring everything from sparkling white bruts to Cab Franc to a New Mexico Pinot Noir. 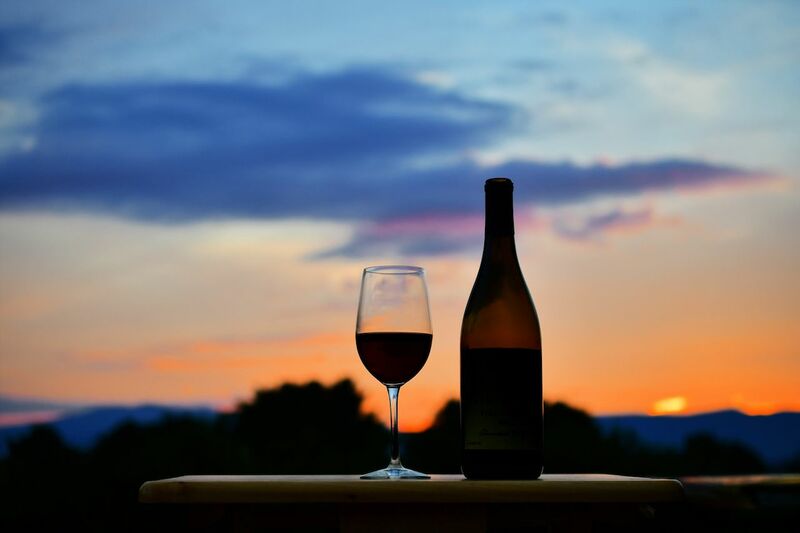 ABQ even has a little wine getaway south of the city at the Red Horse Vineyard B&B, where you can relax in the shade and enjoy the warm weather. New York has multiple wine regions you should know about, like the Niagara region near Buffalo and the wines on the north fork of Long Island. But the Finger Lakes is still one America’s top wine destinations, where you can hike the ravines at Watkins Glen before tasting wines at Ravines Wine Cellars. Then, head to Dr. Konstantin Frank and learn how a Cornell professor of plant sciences found the right rootstocks to grow perfect grapes in the brutal cold of western New York. Don’t forget to try the sparkling wines at Hermann J. Wiemer. One reason Asheville is such a delightful place to visit in the winter is because it’s the odd mountain locale where you can go wine tasting when it’s cold. The most obvious spot to hit is the Biltmore, where your tour comes with a free wine tasting. The winery crafts blends with both estate-grown and sourced grapes. If you don’t feel like shelling out for a mansion tour to sit at a wine bar, head a little north of the city to Addison Farms Vineyard in Leicester. Or go south to Saint Paul Mountain Vineyards in Hendersonville. Both trips are scenic rides through the Carolina hills. Ya gotta hand it to the folks at North Dakota Tourism. Despite having a state that spans over 70,000 square miles, they’ve put together a pretty nice brewery and winery tour that takes you to every corner of North Dakota. It might take your entire vacation to see them all, but by god the state has places to drink. If you don’t feel like scouring all of North Dakota for local wine, head a little west of Fargo, where three wineries sit conveniently along I-94. Though if you’re up for a drive, the hands-down best winery in the state is out in Dickinson — a quick three and a half hours away — at the family-owned Fluffy Fields Vineyard and Winery. South Bass Island is home to Put-In Bay, one of the biggest party sports in all of Ohio. It’s also home to Heineman’s, the oldest family-owned winery in the state. In addition to wine tasting, Heineman’s staff will also take you on a tour of one of the largest quartz caves in the world. Off-island, you can tour the rest of Ohio’s original wine country, which sits in the same “Pinot Belt” as Oregon and the Bordeaux region of France. The Pinot Noirs here are surprisingly good. Try St. Joseph Vineyard if you need proof, or hit Debonne Vineyards in Madison to try stuff from the state’s largest estate winery. Don’t get carried away, OKC. Just because you have Washington’s only NBA team doesn’t mean you’re all of the sudden a wine destination. That said, of the wineries that sprawl throughout Oklahoma — there’s a wine trail in nearly every part of the state — the best concentration of them are in Oklahoma City. You don’t even need to leave trendy Bricktown to get started. Just stop by Water’s Edge and then head to Put a Cork in It to sample whites. Or venture a little out of town to Clauren Ridge in Edmond, and you can visit the state’s lone wine cave. Oregon has 18 AVAs — nearly all of which are worth visiting — but it’s hard to top what you can get in the Willamette Valley. The region is south of Portland, and you have to drive through rolling hills and hazelnut trees, making a day trip seem like a country getaway. Wines in the region have earned worldwide acclaim, especially the Pinot Noir. But the area still maintains the laid-back, country vibe it had before wine tourism took off. 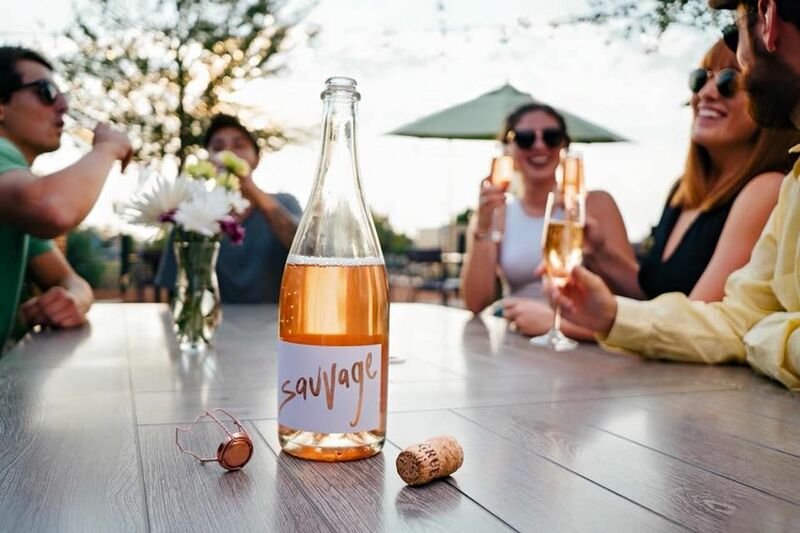 It’s hard to go wrong anywhere in Willamette, but make it a point to hit Soter Vineyards and the Argyle Winery for the best tasting experiences in the valley. Had Billy Joel written “Allentown” in 2018, he may have changed the lyrics to say, “In Bethlehem they were killing time, filling out forms, tasting some wine.” Because this one-time steel-depression wasteland has turned into a bonafide AVA over the last few decades with an eight-stop wine trail that goes right through Pennsylvania Amish country. Though you should definitely hit as many of those wineries as you can. Also, make sure to stop into Kutztown and the Folino Estate, where an Italian villa houses an elegant tasting room and one of the best Italian restaurants in the region. It’s hard to have enough land to plant one vineyard in America’s smallest state, much less an entire wine region. So wine hopping might not be a thing in the Ocean State, but you can still hit up Newport Vineyards on a trip to the coast. This hilltop winery on Rhode Island Sound has its own microclimate, which has allowed it to become one of New England’s premiere grape producers. Though the weather turns cold, the place is open year round and partners with local artisans, musicians, and chefs for programming in its café and taproom. While the cotton grows well in South Carolina, most grapes do not. As a result, the Palmetto State is left with a scant 11 wineries. European grape varieties don’t grow well here, so most use Muscadine, which makes everything sweet. The best concentration of wineries you’ll get is just outside Myrtle Beach, where a short drive brings you to La Belle Amie Vineyard on a historic former tobacco plantation. Here you can get locally grown Muscadine wines or try wines made with juice from Washington. There’s also Hyman Vineyards, which makes soaps, jellies and dietary supplements out of its grapes. Carolina Winery has a tasting room in the city. This little town in South Dakota’s Black Hills is famous for its bike rally but also makes the best wine in the state. Though much of South Dakota specializes in fruit wine, like the 150-year-old Prairie Berry Winery, the Belle Joi Winery sits on the hills outside Sturgis and grows grapes used in more traditional wines. Though the bitter cold makes growing tough, the soil is good, and when mixed with grapes from other regions, the bottles are downright palatable. While bachelorette parties the world over flock to Arrington Vineyards to add a little class to the typical Nashville party, the best wine tasting in the state is along the Upper Cumberland Wine Trail. Wine visitors can use centrally located Cookeville as home base. About halfway between Music City and Knoxville, start your tour at Red Barn or Cellar 53, which is known for its dry wines. 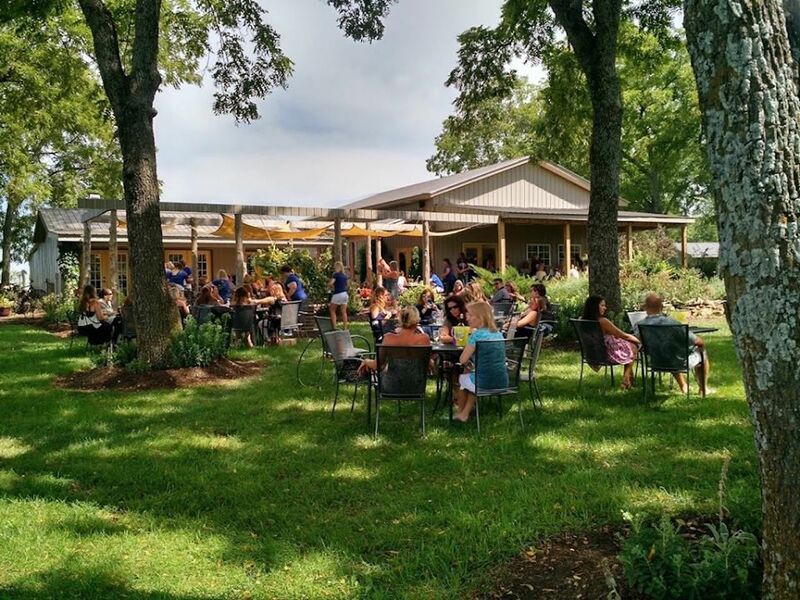 Then head to the state’s oldest winery at Highland Manor, or one of the biggest wineries in Tennessee at Chestnut Hill, and cap it all of with some bubbly at Stonehaus. Though a good portion of Texas could be referred to as “hill country,” the area we’re referring to is the stretch west and south of Austin. There, you’ll find more than 45 wineries dotting the landscape, concentrated most highly between Johnson City and Fredericksburg. Head south from Austin and you’ll find a true gem at Driftwood Estates. Or enjoy the experience of pairing Texas wine with barbecue at the famous Salt Lick BBQ in Dripping Springs, which boasts a tasting room where you can pick a bottle to have with your pounds of brisket. To the shock of no one, Utah was a little late to the wine-making game. As such, it hasn’t quite been able to capitalize on its high elevation or perpetual sunshine the way states like Colorado and Idaho have. That said, head to Park City and you can find a handful of great spots, like Cognition Winery where red wines like the Progeny Petite Sirah and Main Street Zinfandel are in high demand. 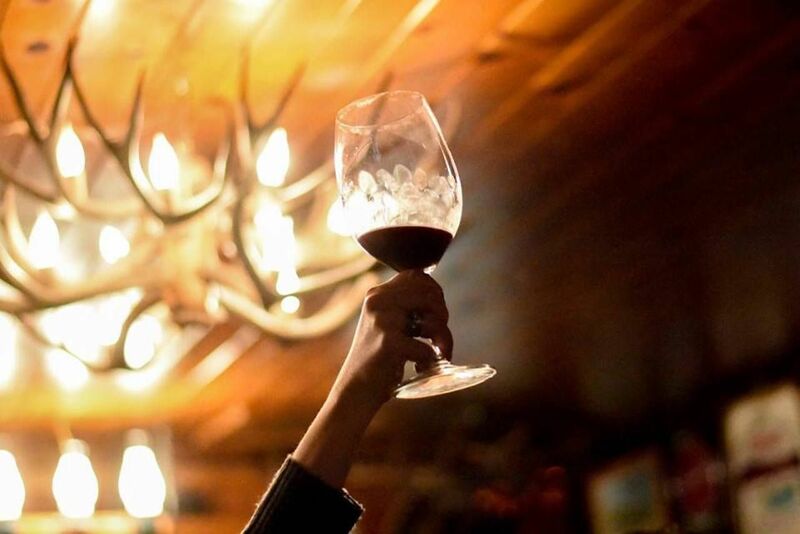 You can also have your apres ski at Old Town Cellars or head to the Fox School of Wine, which will take you on a three-hour historic Mines and Wines tour where you’ll learn the history of winemaking in the area. Because Vermont is the kind of place that likes to do its own thing, the most renowned modern winery in the state — Deirdre Heekin’s La Garagista — doesn’t have a tasting room. If you manage to hit the winery during one of its supper club pop-ups, you can enjoy the wine with fully paired meals. It’s easier to stick closer to Burlington, where you can hit up Shelburne Vineyards. The winery specializes in hybrid grapes that grow in the short, wet Vermont summers. Nearby you’ll find Lincoln Peak Vineyards, which also specializes in said hybrids. If you’re looking to enjoy a full meal paired with Vermont wine that you know will be open, Solstice in Stowe has probably the best selection of local stuff. Including La Garagista. That Thomas Jefferson knew what he was doing. Sure, there was that whole Declaration of Independence thing or whatever, but more importantly, the man who brought grapes to Virginia set up the East Coast’s premier wine region. And, deservingly, the counties surrounding his historic home have been dubbed the Monticello Viticultural Area. The Monticello Wine Trail is too much to do at once with more than 30 wineries, but it’s conveniently split into four different routes separated by direction. To the north, you’ll find Barboursville Vineyards, where you should get your hands on a bottle of Octagon. Continue a little farther north to Early Mountain for one of the most gorgeous tasting rooms in the region, and then circle back down toward Charlottesville to visit Afton Mountain Vineyards for Petite Verdot and Cab Franc. If you’d like to stay closer to the city, there’s Pippin Hill, which, along with grapes, grows fruit and vegetables for its on-site restaurant. While you can do a mean day of wine tasting just perusing the tasting rooms in Woodinville, to get the full hills-full-of-vineyards experience in Washington you’ve gotta head to Walla Walla. This one-time prison-and-onion town has reinvented itself as a wine destination, with names like Seven Hills and Gramercy highlighting a region known for its Bordeaux-style blends. But even once you exhaust the wine tasting options, the outdoors abound in Central Washington, where you can jump on a four-wheeler (BEFORE tasting) and offroad through the countryside, or grab a pair of binoculars and witness the frequent bird migrations. Although the terrain in West Virginia is spectacular, the only part that resembles wine country is in the center of the state. Here, you can take in some of the most beautiful scenery in America from the tasting room at Daniel Vineyards. Along with Appalachian views, Daniel Vineyards offers wine made with estate-grown grapes like Marquette, Frontenac, Norton, and Esprit that can handle the climate. Door County sits on a peninsula jutting out into Lake Michigan just north of Green Bay. Its climate gives its wines similar properties to those found around Traverse City, Michigan, and that combination of location and flavor has turned the place a bit of a tourist madhouse. Pro tip: Go during the week to avoid the masses, and hit the eight-stop wine trail. Not only is it highly scenic and Midwestern nice, but four of the wineries also offer free tastings, and none are over $12. Though that $12 tasting is at Stone’s Throw Winery, which is probably the highlight of the trail. You can’t really blame Wyoming for being a little lacking in the wine-production department. You try growing grapes in a place where winter lows are in the teens, and some areas get less than a foot of annual rainfall. The best winery in the state is Table Mountain east of Huntley, which uses only Wyoming-grown grapes. Table Mountain makes a Frontenac Gris, a red Frontenac table wine, and a white Elvira dessert wine. 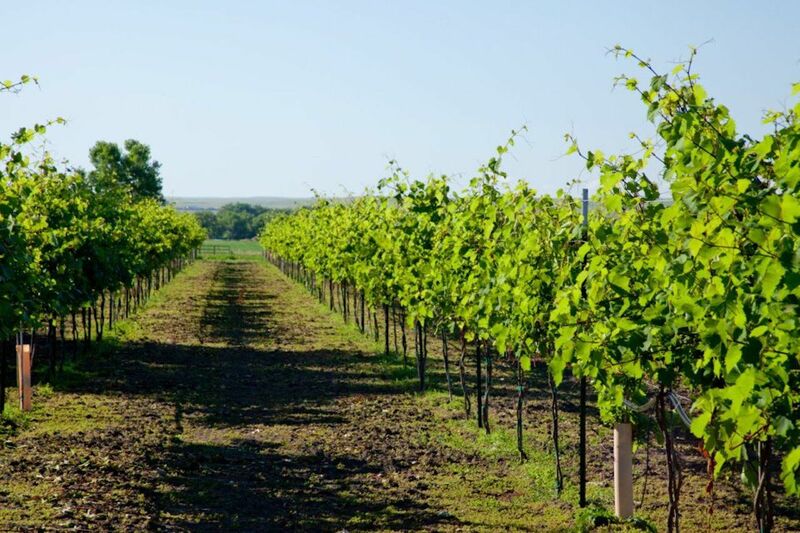 Huntley also has the distinction of allowing you to go wine tasting in two different states as just across the border in Nebraska you’ll find a smattering of wineries in Scottsbluff.